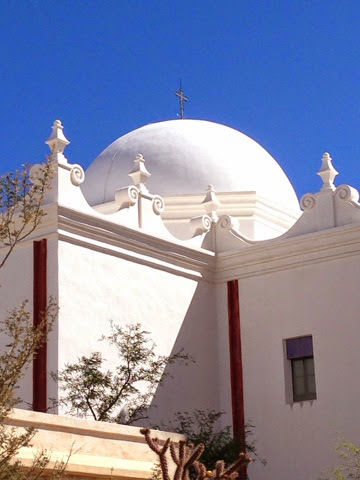 There are many things to do and see here in Tucson. 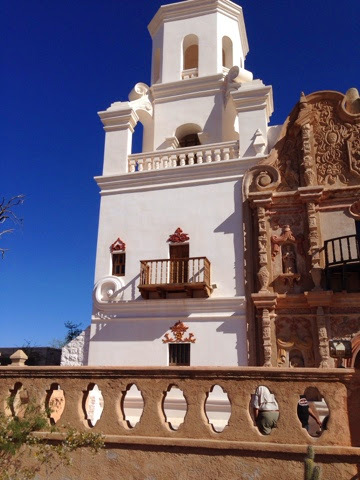 This morning I headed out to Mission San Xavier de Bac. 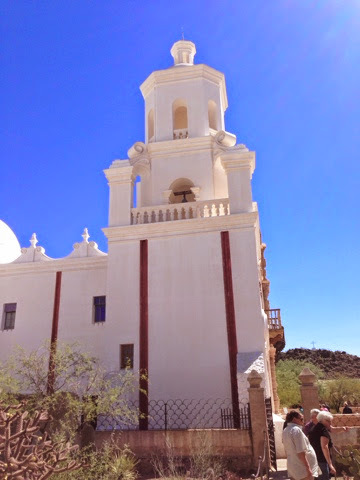 This is one of the missions as part of the New Spain expansion of the new world and only 9 miles south of Tucson. The expansion of Christianity resulted in missions being built generally along rivers where Indian settlements existed. They were spaced at a one days ride on a horse apart. This part of the US was under Spanish control, then Mexico, and finally the United Stated with the acquisition of this land as part of the Gadsden Purchase. From the Mexican's point of view I would bet they would see our acquisition no different than Russian's acquisition of Crimea. Yes, the US paid Mexico for the land but the US basically took it so they could get the southern route of the Trans contentinal railroad. It's interesting that we in the US have righteous attitudes about things when we have done the same thing in the past. We also did the same with Canada. Remember "54/40 or fight". Moving off of politics and back to the Mission, the building is impressive. 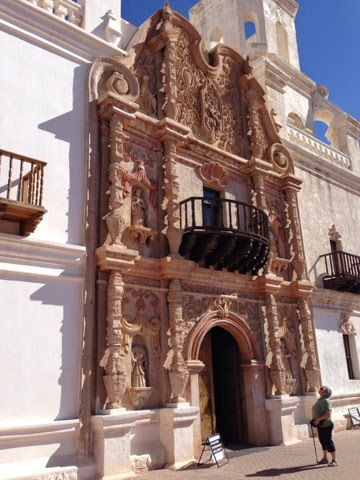 Although not the original Mission building it is an excellent example of architecture that is a mix of Mission style as well as Moorish. The reason for this is that Spain was occupied by Moors from Africa for a number of years. It has 2 towers generally used for calling to prayer. It also has a dome in the center that took a square frame and transformed to a oxagional to a dome. 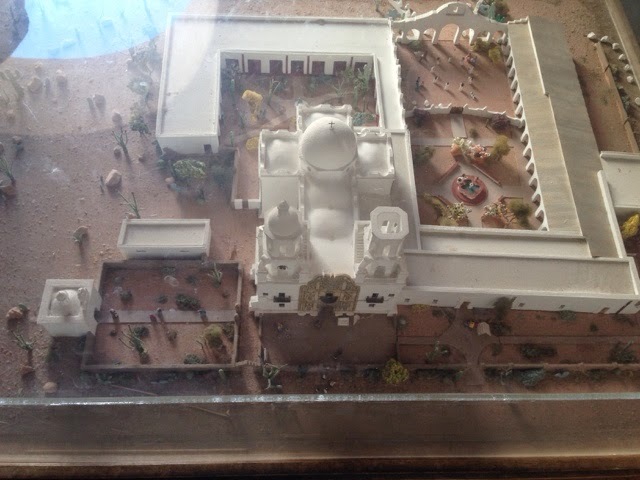 Here is a miniture mock up of the complex. 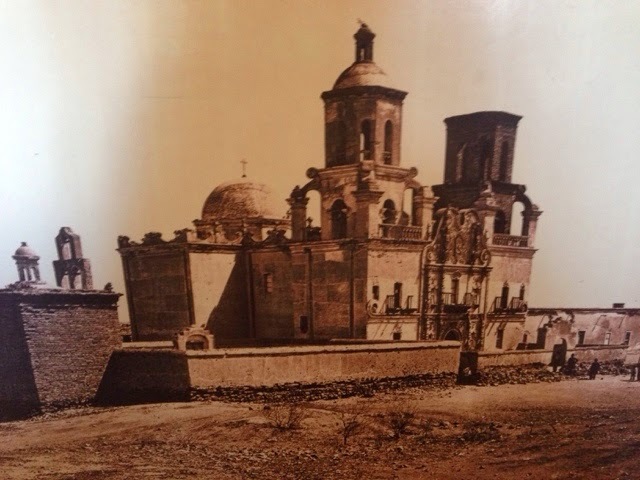 See the dome on the center of the church. 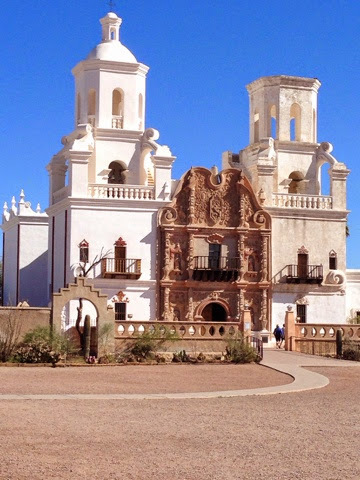 I like architecture and the Mission can be seen for a few miles from the highway with it's white color that stands out as well as it is open and not surrounded by other buildings. Then there are the architectural appointments. That are so many and also wonderful. This side has been restored and why it looks so good. This side had a top on it as it took a number of years to build and they ran out of money on the other side. Note the details above the windows. The center is very ornate and covered with symbolism on every part of it. New Spain abandoned the missions and this one was left open to the wind any anyone that came by to use it for shelter. The interior was blackened inside from squatters that had set fires inside to keep warm. 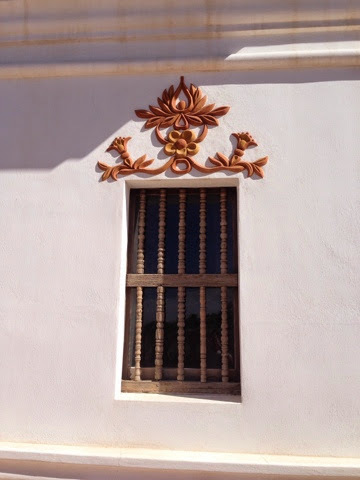 The paintings on the walls needed restoration cleaning to make them viewable again from the spot from the fires. The good news is that some people cared and still care and are raising money to restore the other side. 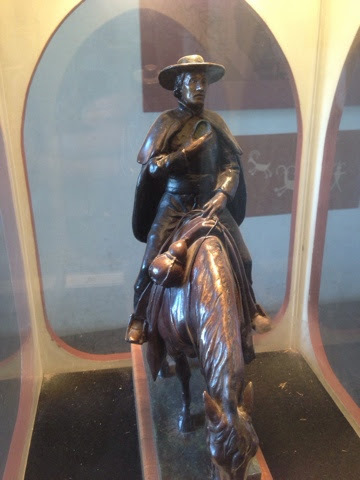 The mission, along with others coming up from Mexico from the south were under the direction of Father Kino depicted in this statue. 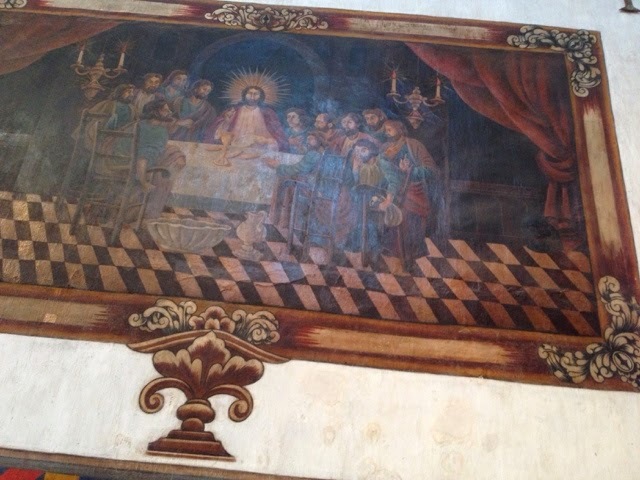 Painting on wall depicting the last supper. 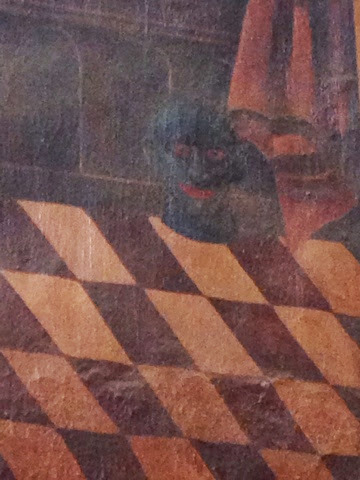 In this rendition the artist painted the devil in the shadows on the right side. 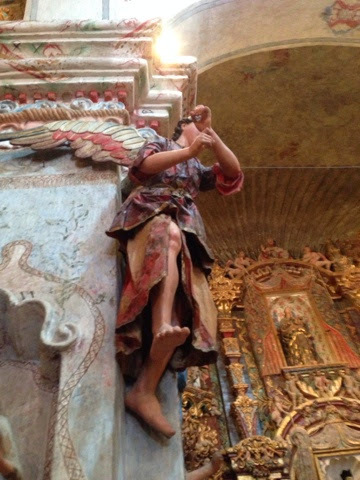 The following two photos are of the wings on either side of the main alter. The statues in each are presentation statues that are taken out for religious parades. They each have multiple sets of clothing for the occasion. Check out the number of colors used in the design. 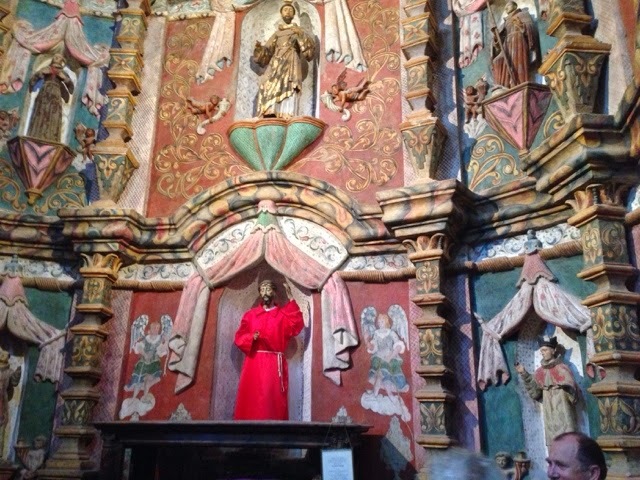 The main alter as well as the two wings are full of symbolism. 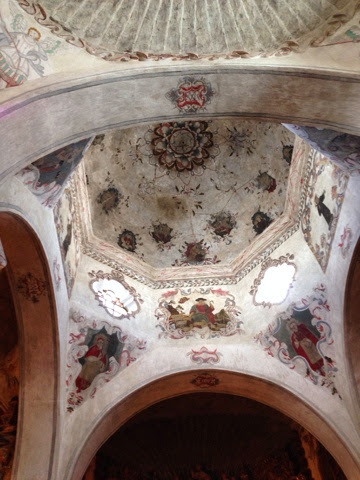 The inside dome. Square to oxagional to dome. 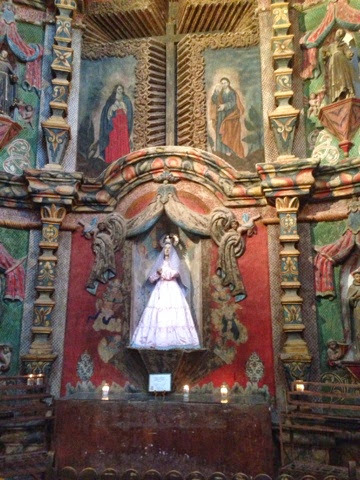 The missions were supplied with sculptures from a single so called mission sculpture facility near musician city. Like this angel below they were sent out with no color or clothing. 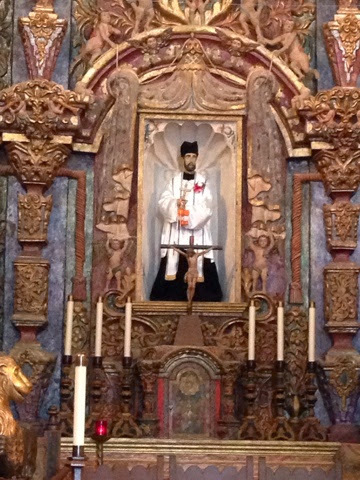 The clothing would be added at the mission and then colored. They used real clothing and would soak it in plaster (gesso) and then formed to the style and hardened. Then it would be painted. 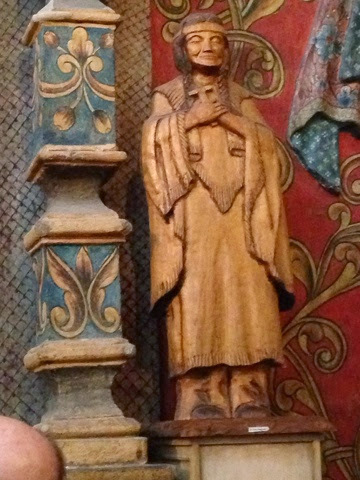 This last statue is of an Indian woman Kateri Tekakwitha that was given Sainthood in 2012. Her story is interesting and long so please see http://en.m.wikipedia.org/wiki/Kateri_Tekakwitha for further information. 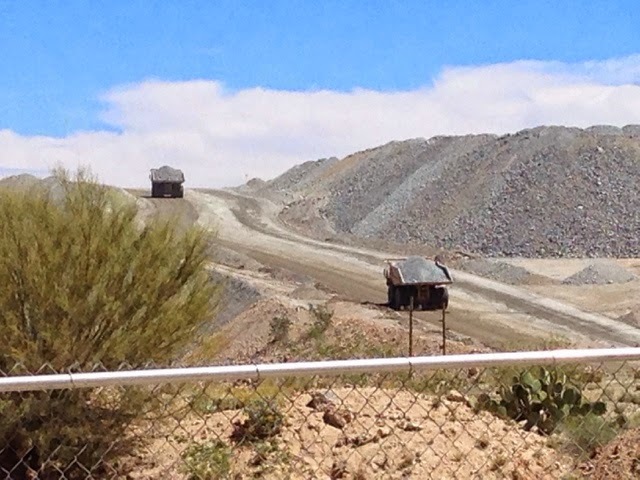 A few exits down I19 towards the Titan Missle Silo I went to the other day is the ASARCO open pit copper mine. Yes a strip mine. They give tours and I wanted to see what they do there. Let's put the size of this mine in perspective. 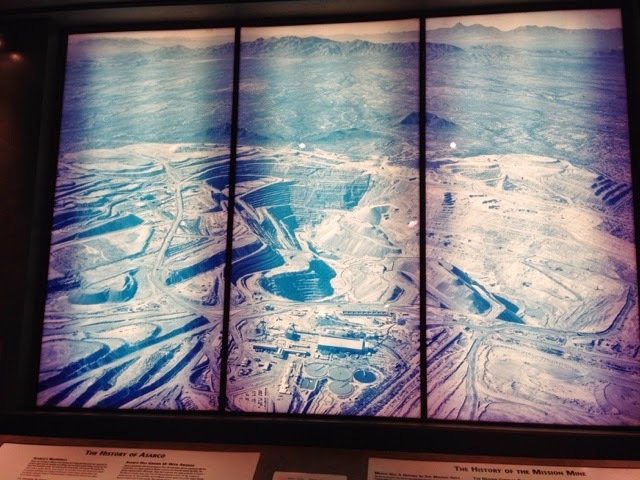 The mine is 31 square miles. To give you a reference Westminster, MA where I live is 37 square miles. 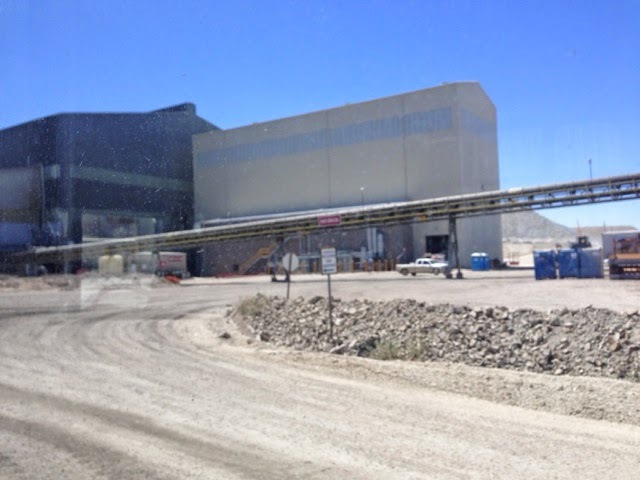 This is a large complex that when you drive down the interstate you drive mile after mile of removed debris from the mine pit. The tour starts in their gift shop/visitor center with displays and short informational movie. 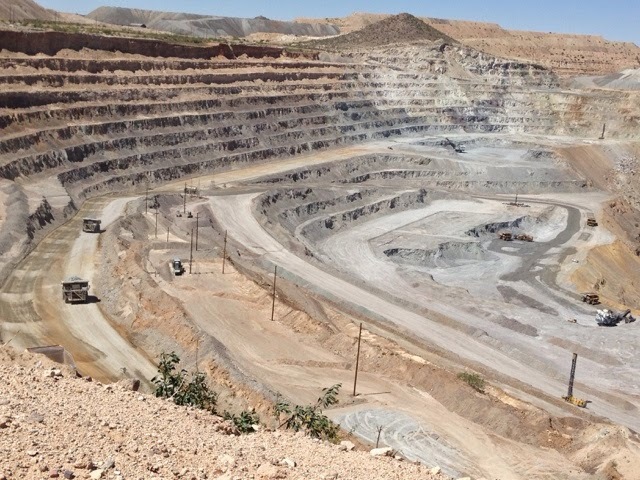 Here is an aerial view of their open pit mine. 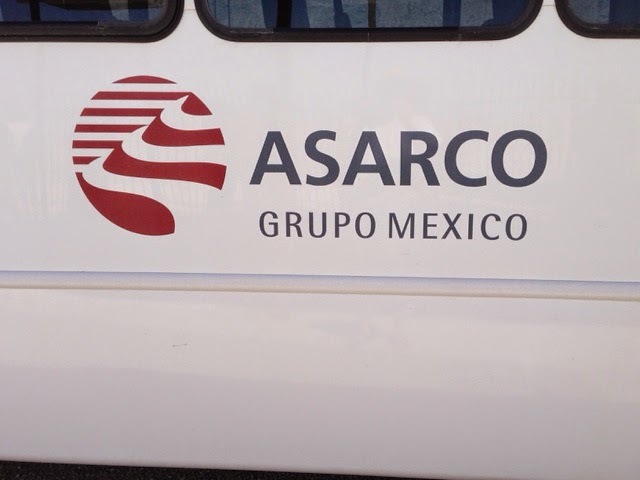 We boarded a bus and drove a few miles to the processing plant. 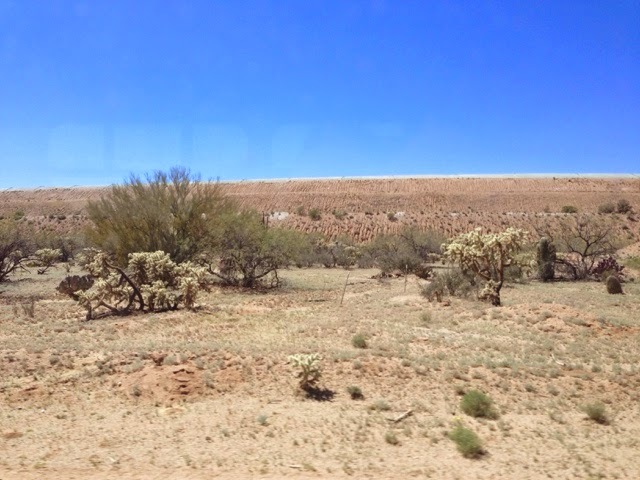 To make this short, they have to remove the rock on top of the copper ore and this is done with drilling, blasting, and hauled away to make hills/mountains. These trucks as well as other equipment is as large as it gets. The ore, once it is found underneath, is taken to be crushed in a series of processes to the point it is pulverized dust/granular. 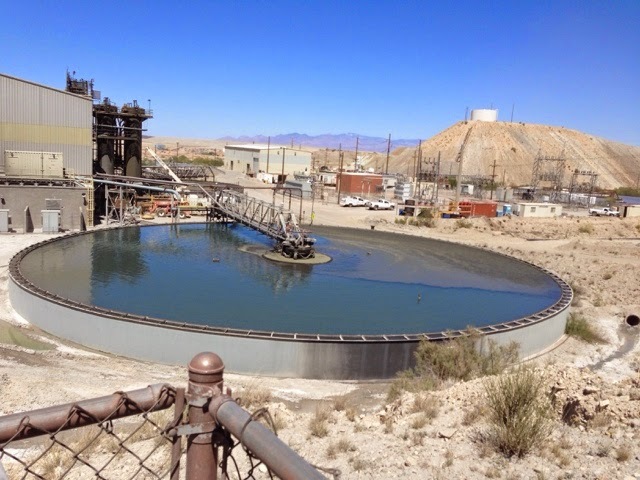 Then through a partial chemical and physical process the copper is extracted from the ore. 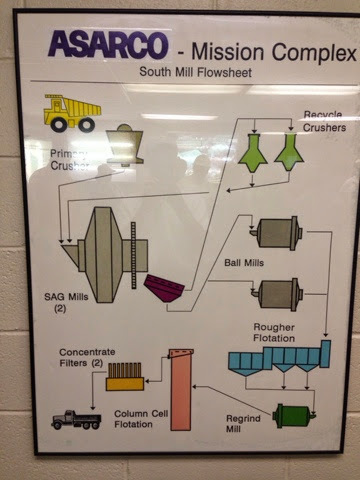 This is where the copper is separated from the process. The result is 28% copper ore that is sent to smelting. The silt / slurry left over is put in silt beds. 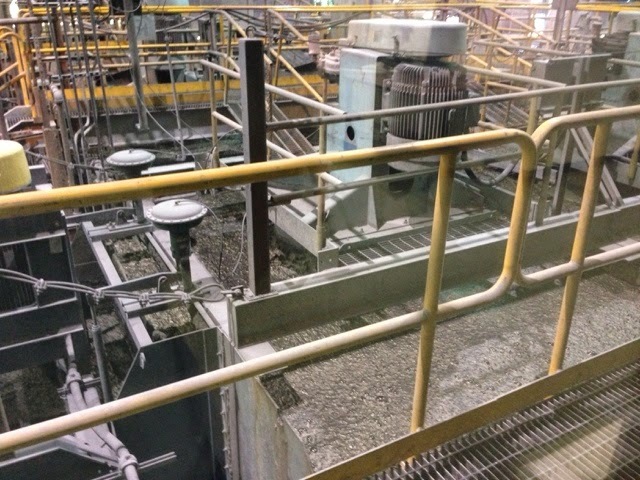 Below behind this bim is the processed waste either the material removed prior to the ore or the silt. The copper after smelting is only 90% pure so it is processed again through an electrolysis process to 99.9% in Texas.